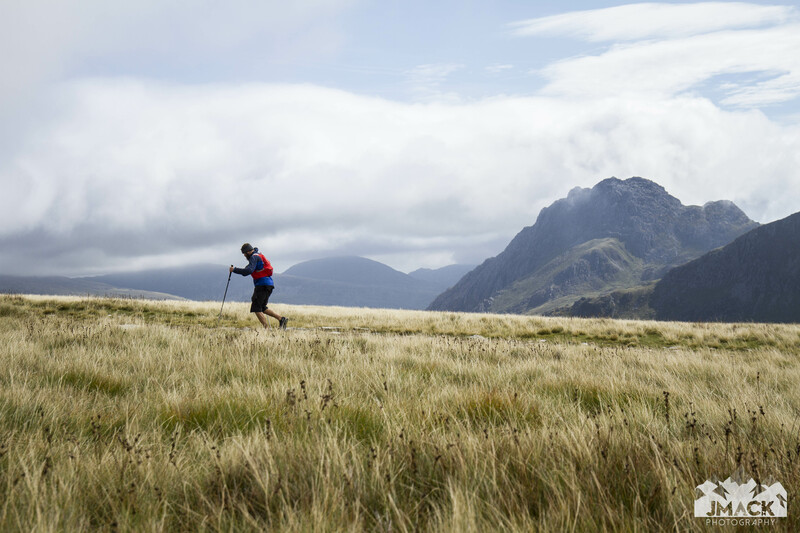 The Heart of Snowdonia run wasn’t my idea, it was a good friend Anthony Oram‘s. Now, this day summed up to me why I have such a deep love for the sport and pursuit of trail running. Why I spend so much of time on the trails, reviewing gear and taking photos. The people. The community. Up to this Saturday just gone, I had only met Ant once, for the grand total of two hours. In fact, it was on the way to Maverick Races Dark Series Hampshire, when I drove down before hand for Break Fluid Coffee’s open afternoon, as Ant is a Co-Founder. We got on ok, so much so, I was rushing to make sure I made the start line of the race, as time moved a little too fast. Fast forward 10 months and I had been invited to support Ant on his Heart of Snowdonia run. I won’t go into the details of why, instead I would prefer you to click on HERE to find out the significance of the run. I drove up the night before, straight from the office and got to North Wales around 10pm. It was dark, late and the campsites were getting down for the night, so I pulled over in a lay-by and set up camp in my car. One of the advantages of barely reaching 5ft 7″. But I am. Don’t you be calling me 5ft 6″….. Early morning, quick admin and I was running down the A498 to the campsite at 0530 to meet up with Ant and his support team for the day ahead. I would run around half the route and then get a lift back to my car, as I needed to be 200 miles south for a wedding anniversary that afternoon. What a day to double book yourself. The lake was a great start to the run at 0600. Low level, flowy trails and an opportunity to catch up. Feet were soon wet, a feeling that was unpleasant. I can’t remember the last time I had wet feet running, oh yes I can, wait, Winter! What was going on? As we took on the first climb of the day, the clagg began to wrap us in it’s cool, wet cloak, shielding the trail ahead, doing its best to thwart our advance. Pushing up onto the rear ridge lines that look up to Tryfan, we made our way down, across open mountain, meandering around streams and paths, until we stood looking up at the Devil’s Kitchen. A mass of boulders and rock, scarred by crampons, polished by hundreds of thousands of footsteps, which would lead up to to Y Garn. Y Garn showed little mercy, an ice cool wind whipping through at a great rate of knots. Now hunkering down in jackets, we pursued the sanctuary of lower slopes, before making a steady descent into Nant Peris, through tussock filled fields. LLanberis would be the handover point (some 20 miles and 5,250ft of ascent in), to Gordon, who would accompany Ant for the final 2/5ths, up and over Snowdon. However, the weather was to turn for the worst. Driving rain, limited visibility and howling winds did all they could to put an end to the Heart of Snowdonia. But Ant and Gorden gritted their teeth and won the mental battle. The Heart of Snowdonia would be completed. Unfortunately I was unable to witness the finish, but I was stoked to read and see all that would come out on social media in the following days. Ant pushed himself beyond his known physical limits and showed incredible heart and determination. I was glad I could share part of his day and capture it for his viewing, now recovering. Below are a series of images that depict the first 20 or so miles. Giving back, by supporting others ambitions and goals, is something we can all do more of, and I’m finding a much greater reward doing so then racing. Thank you for the invite Ant, I wonder what our next adventure will be.